2018 has changed the game for fashion lovers. We are seeing both new and old trends this year that has made a huge impact on the fashion industry and of course, on every girl’s life. Many old styles have made a comeback this year along with new ones. With so many ideas all over the internet about fashionable outfits, we know it’s hard for ladies to choose the best ones. 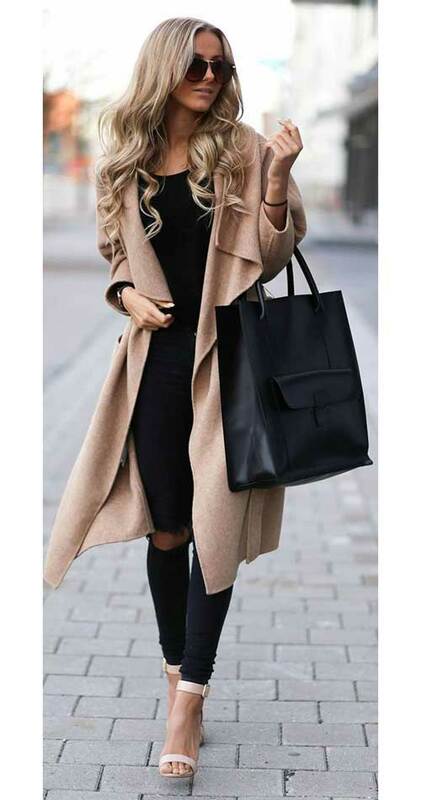 And for that reason only we have brought together the best fashionable outfits for women that will help them gain inspiration for their next showstopper outfit! 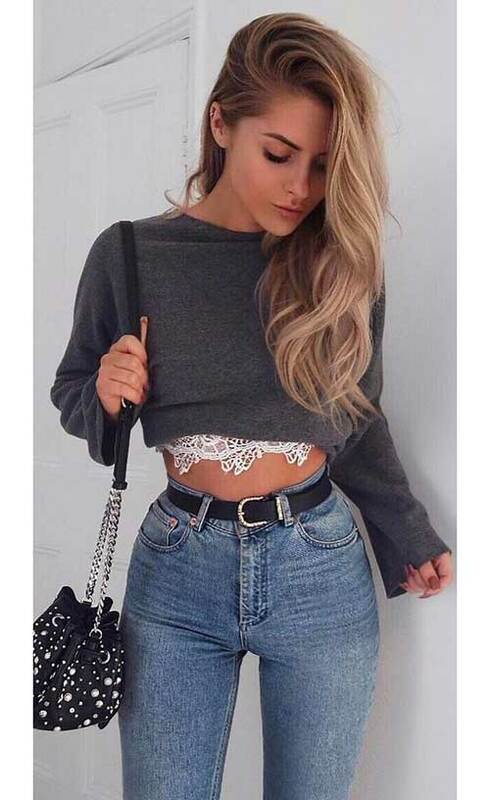 High waist jeans are the ‘it’ outfit for this year. They can be fashioned in a lot of ways according to preference. 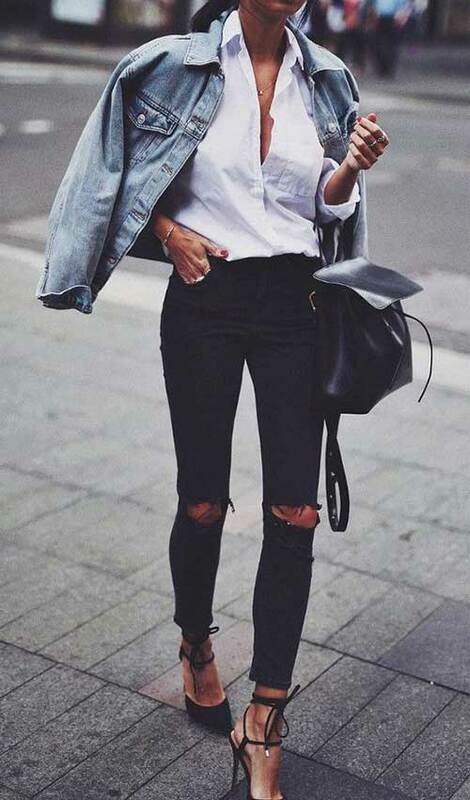 But if you want to look stylish and turn heads, pair your favorite high waist jeans with an oversized jacket. 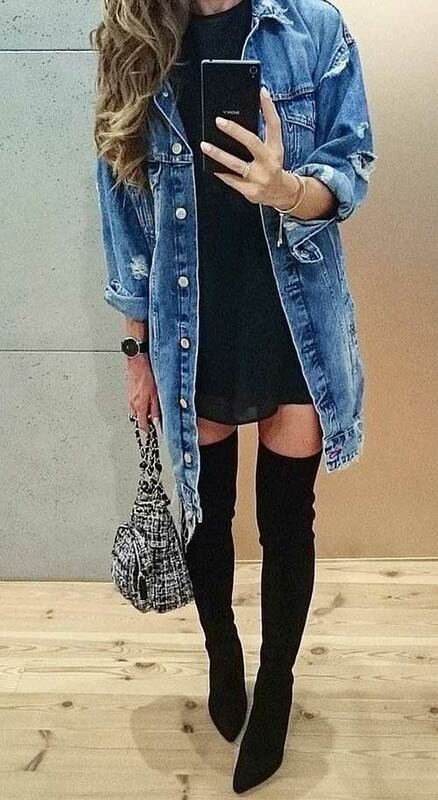 Distressed denim jackets look great with such an outfit. You can wear a simple monotone camisole or sleeveless top to wear underneath the jacket to tie the outfit together. Thigh high boots are basically a blessing. They look really gorgeous on everyone and have the ability to completely change the look. These boots are high style and worn by many popular celebrities, including Ariana Grande. Opt for a leather or faux leather thigh high boots in darker shades and pair it up with a short dress to look stunning! 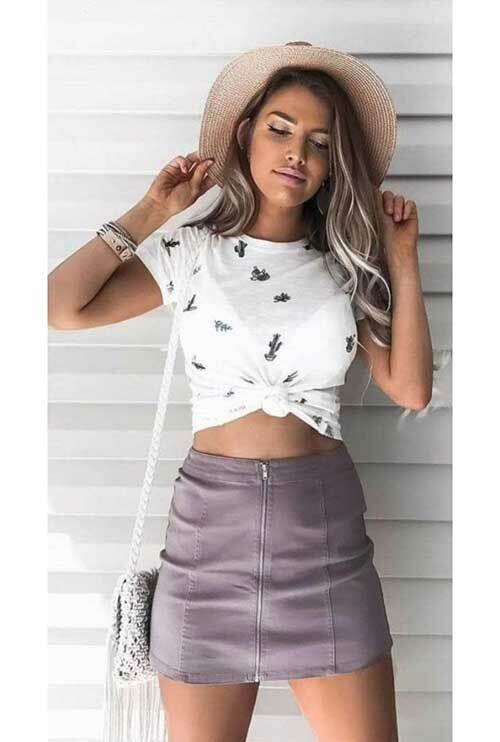 Crop tops have become a craze recently among young women. These tops are basically a short top that can be styled in many ways. 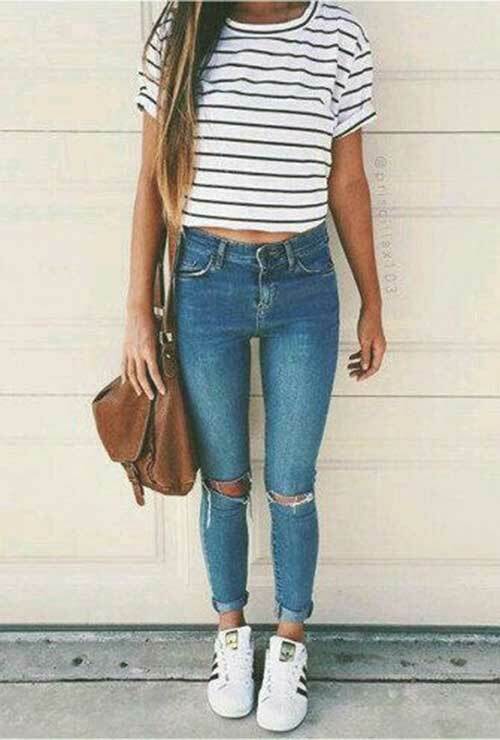 But crop tops look best with high waist jeans and denim shorts. You can spice the look even further by tying a flannel shirt to the waist. 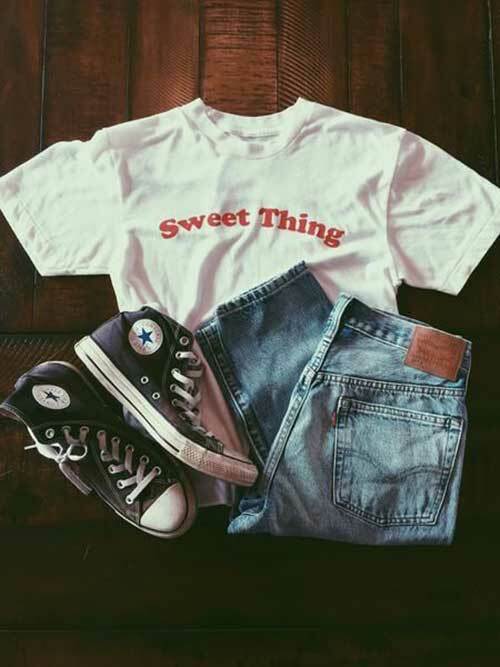 This outfit will surely give you a fresh and rebellious vibe.